Home Call for Applications The GrowthAfrica Business Scaleup Acceleration Programme 2019 for early stage Entrepreneurs. 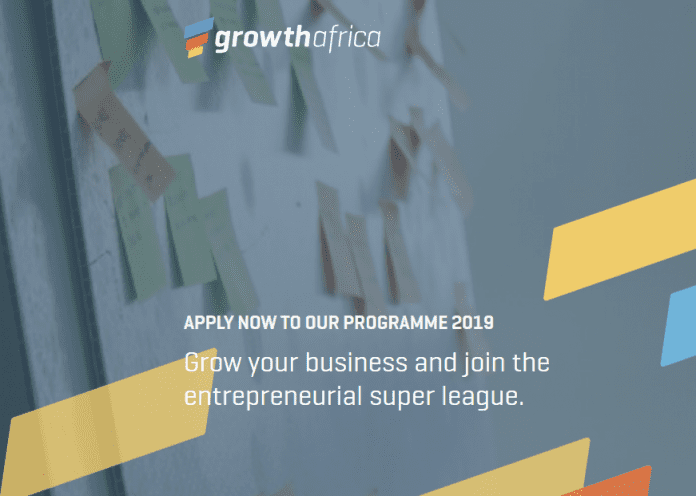 The GrowthAfrica Business Scaleup Acceleration Programme 2019 for early stage Entrepreneurs. The GrowthAfrica Business Scaleup Acceleration Programme is demanding, but so is success! The programme and our support is designed to help you scale your venture, make it investment ready and develop your entrepreneurial leadership. Applications are now open for the 2019 GrowthAfrica Business Scaleup Accelerator Programme in Kenya, Uganda, Ethiopia and Zambia. We will for each country select 15 ambitious, committed entrepreneurs with high potential to grow and create significant impact with a focus on high impact employment and income generating opportunities.